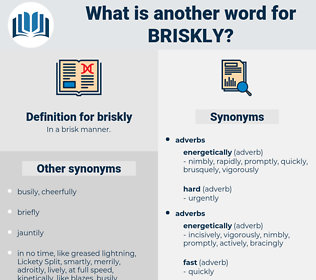 What is another word for briskly? rapidly, expeditiously, swiftly, speedily, promptly. 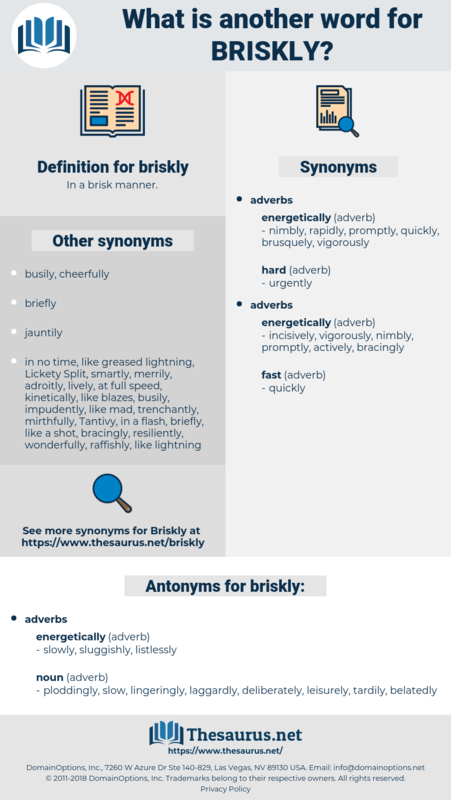 ploddingly, slow, lingeringly, laggardly, deliberately, leisurely, tardily, belatedly. The other guns, however, still kept their position, and fired away as briskly as before.